I'm writing this post in response to a good friend of mine who recently got a bookstore promotion to the children's book section. I can't think of a better person to have this job - one day I'm sure he'll be super famous a la Neil Gaiman or Hunter S. Thompson. In the meantime, however, knowing that he's going to be suggesting books to young minds warms the cockles of my cynical little heart. So when he asked his friends about their favorite kids' books, I knew that a mere Facebook comment was never going to be enough to hold all of my favorites. 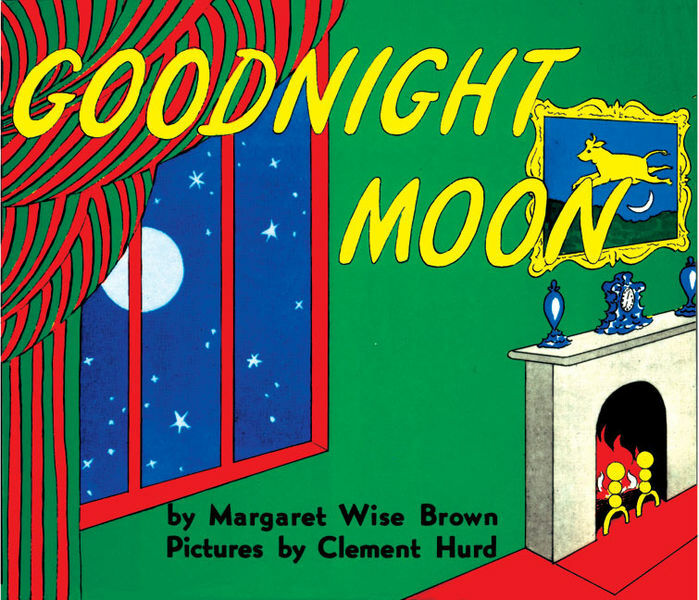 This post won't be enough to hold all of them either, so consider this Part I.
Goodnight Moon - A Bedtime Classic! "In an old house in Paris that was covered with vines...."
You can never go wrong with a feisty heroine and Madeline is one - forgive the joke - for the books. 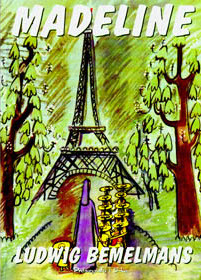 Written by Ludwig Bemelmans in 1939, the Madeline books follow the titular redhaired French Catholic school student through a series of adventures: Madeline has her appendix out (Madeline), falls into the Seine and is rescued by Genevieve the dog (Madeline's Rescue - winner of the 1954 Caldecott Medal for illustration), stands up to bully Pepito (Madeline and the Bat Hat), explores London and runs away to live with gypsies with Pepito (Madeline in London; Madeline and the Gypsies) and celebrates Christmas (you guessed it - Madeline's Christmas). go to bed and wake up feeling like they're loved." I swear I don't just love this adorable rhyming book because my good friend April Claxton wrote it and I edited it. I love it because there aren't enough well-written books about alternative families. 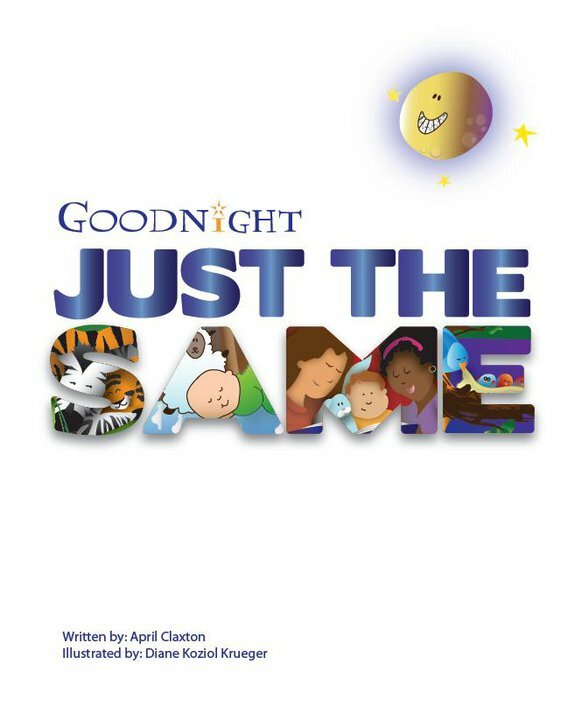 New York Times Bestselling author and household name Melody Beattie (Codependent No More; The Language of Letting Go) said about it "It will help any child of any age go to bed and wake up feeling like they're loved." 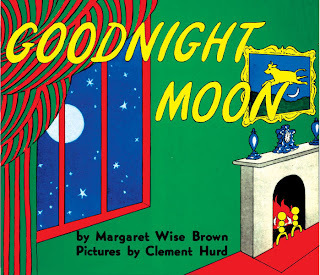 GJtS is like Goodnight Moon meets Heather Has Two Mommies. Every family - regardless of if kids are being raised by parents who are gay, straight, or lesbian, or being raised by step-parents or grandparents - says goodnight just the same. The illustrations by Diane Koziol Krueger are charming and colorful. A very, very spooky ghost story by Mary Downing Hahn. Molly notices that her younger sister Heather is abnormally drawn to the graveyard that borders the back of their new house. 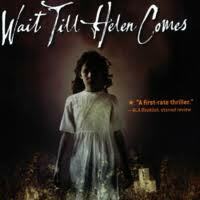 Molly soon finds out that Heather's made a chilling friend in Helen, a child ghost who died a century before and wants to lead Heather to her doom. This book scared the almighty bejezus out of me when I was nine, so much so that I couldn't sleep with it in my bedroom. I'd wake up, tiptoe across the hall, and leave it on my parents' dresser. If my nerve failed me and I couldn't get up the courage to walk across the dark hallway, I'd often just shoot it across the wooden floor over the threshold of my mom and dad's bedroom, listening to the whoosh sound that the paperback made on the floor, endlessly relived that it was out of my room for the night. (Of course, I never quite shot it right and one or both of my parents would accidentally trip over it in the morning. Before long, I wasn't allowed to have horror novels in my possession.) 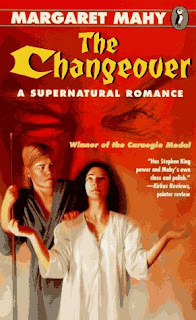 Mary Downing Hahn has a number of equally scary ghost stories available. Preteen to teen. 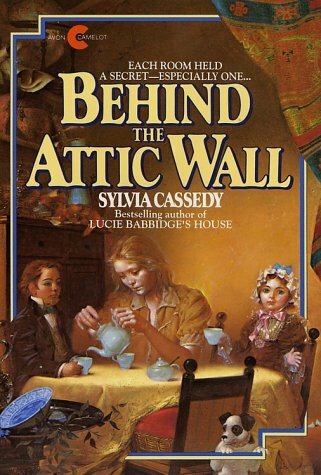 Behind the Attic Wall by Sylvia Cassedy: Twelve year old Maggie is a lonely misfit who had been kicked out of numerous boarding schools before finally coming to live with her two great aunts and her uncle Morris. One day she starts hearing mysterious voices and traces them to the attic where she finds two 19th century dolls - a man doll and a woman doll. This is another ghost story, but it's not as scary as the Downing Hahn novels. Cassedy's book focuses on Maggie's unusual relationship with the dolls and how she blossoms for the first time in her life under their care. 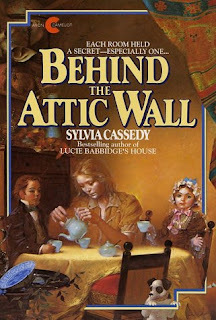 Behind the Attic Wall is tender yet strange - as if The Secret Garden's moody Mary Lennox has found her way into an early Neil Gaiman novel. Although largely out of print and only available online, it's worth a read. Preteen to young teen. Changeover won the Carnegie Medal that same year. Teens. Ghosts I Have Been by Richard Peck: I flat out would not have survived my 5th grade year had it not been for this book staring Blossom Culp, the thirteen year old psychic living by her wits in turn-of-the-century Bluff City. Her easily terrified best friend Alexander Armsworth was the hero of the award-winning The Ghost Belonged to Me , but I always preferred Blossom's no-nonsense Huck Finn approach to the supernatural over Alexander's easily freaked out self. In Ghosts I Have Been, Blossom lies about being a psychic in order to get the best of a snotty group of rich girls, only to discover that her mother's "gypsy gift" of the second sight is hers after all. In one of the most chilling scenes, Blossom makes contact with a child ghost who perished on the ill-fated Titanic two years before. The tone of these books is pure nostalgia mixed with good, rip-roaring horror. - In 1913, wealthy Alexander discovers he can communicate with the ghost of a young woman and turns to his friend Blossom, her psychic mother, and a world traveler for help. - see above. The second book in the quartet, but works fine as a stand alone, or as the first in the Blossom books. - Blossom Culp falls forward through time, to the 1980s and befriends a lonely boy. But can she make it back to 1914? - Blossom and Alexander help the restless and angry spirit of an ancient Egyptian princess who seeks revenge on her graverobbers.